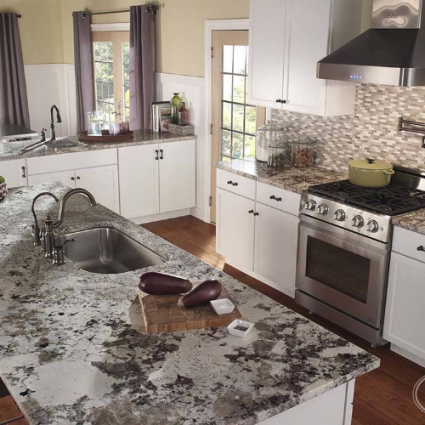 Alaska White Granite is quarried in Brazil and is not commonly known by any other industry names. 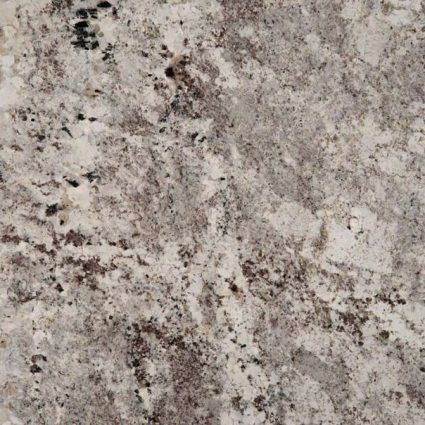 Alaska White Granite is one of the most popular Granites today. It is a frosty mix of stunning icy whites with browns and greys marked with warm neutrals and onyx hues. 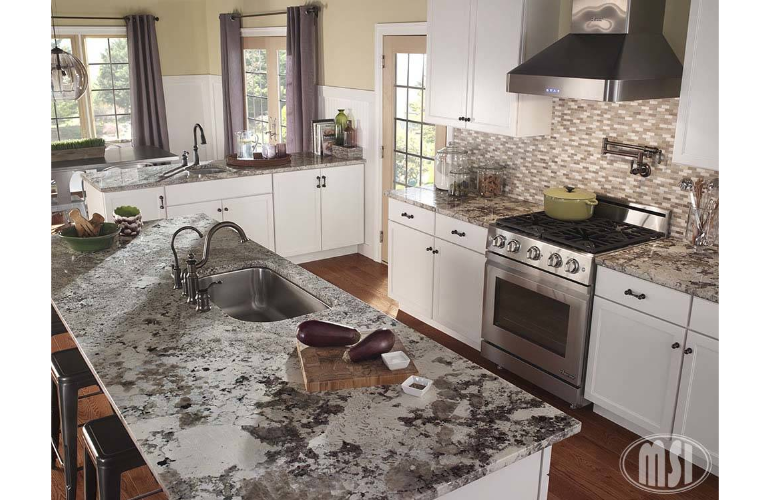 This durable natural stone is ideal to create intricate patterns such as Granite countertops, backsplashes, accent walls, floors and other architectural features, both indoors, and out.